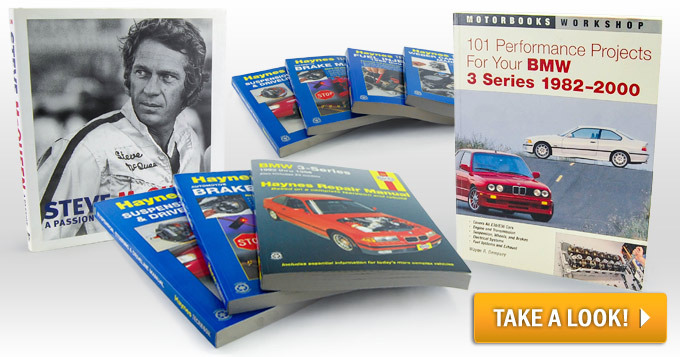 10% Off All Motorbooks in our Bookstore! My Ride: BMW 700 and More! Our bookstore is filled with volumes sought by BMW enthusiasts such as our very own, Wayne Dempsey's 101 Projects for your BMW 3 Series. Find yourself a great coffee table book on the "King of Cool" Steve McQueen or learn automotive body repair, professional racing techniques and more! Last edited by PelicanParts.com; 07-19-2016 at 08:22 AM. Quick Reply: 10% Off All Motorbooks in our Bookstore!